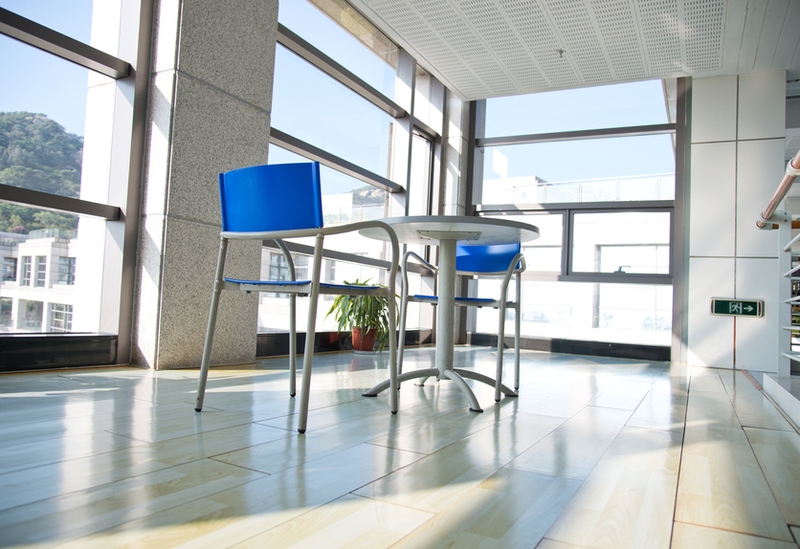 Luxury vinyl is a flooring option that can fit most homes and commercial buildings. Luxury vinyl comes in dozens of different colors, textures, patterns, and shapes, allowing a wide range of options that can transform a space quickly and easily. Luxury vinyl is resistant to stains, scratches, moisture, and fading, so it will look beautiful and last a while. If you are considering installing luxury vinyl in your home, the following are a few benefits of choosing this material. Many types of luxury vinyl are made to look like natural hard wood, but the material can also be made to look like slate, marble, and other types of stone. Luxury vinyl is much easier to work with than these options and is often a fraction of the cost. Luxury vinyl can make a room or a home look lavish with minimal time and cost. As vinyl goes, luxury vinyl is more expensive than other types of vinyl, but is on the inexpensive side of flooring options. The durability of the product also helps to mitigate the need to replace the flooring every few years, as with many inexpensive options. Additionally, the flooring is easier to install than most options, which may help to save on the costs of professional installation and even flooring installation tools. Luxury vinyl is available in options that meet Green building standards for sustainability. This can help to reduce the impact to the environment and may make the home eligible for certain certifications, if combined with other sustainable practices and construction elements. Professionals at your local flooring store will be able to help you find environmentally friendly options that meet your preferences and budget. The recommended cleaning for luxury vinyl tile is damp mopping, a faster and simpler solution than the cleaning procedure for many types of flooring. Simply sweeping will generally make the flooring look clean and it is easy to sterilize as there is no danger in getting the flooring wet. As long as the flooring is properly installed, no seepage will get beneath the protective top layer, so water and spills will be easy to completely dry. Unlike concrete and ceramic tile flooring, luxury vinyl tile is a resilient material that is comfortable to stand on for long periods of time. The multiple layers of vinyl, backing, and foundation provide “give” that can act as a cushion for feet and ankles. Adding underlayment beneath the flooring may help to reduce sound and protect the flooring while further softening the impact of the flooring on the feet and ankles. In you are considering installing luxury vinyl flooring, visit Flooring Headquarters today to review your many options.